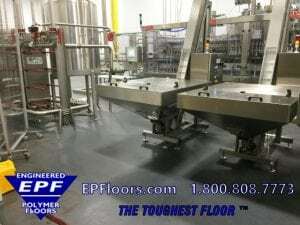 Epoxy and Urethane floors are often found in food, beverage and other processing facilities. Urethane flooring has many advantages over the cheaper, low performance epoxy floors. PUMA-CRETE® and urethane mortar flooring have proven themselves over the decades. Also called urethane concrete, or cement based urethanes, these floor have been the workhorse of processors for a long time. EPF is vertically integrated, which enables us to control all aspects of your floor project. 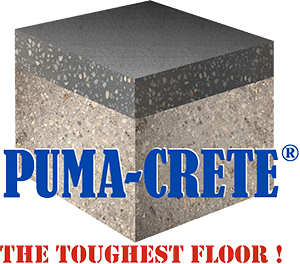 In addition to PUMA-CRETE® urethane flooring, we offer concrete floor consulting, floor specification assistance, concrete analysis, concrete installation, trench drains, and slope to drain services. These services are in addition to manufacturing of PUMA-CRETE® , installation (with our own crews) and an exclusive five year warranty. 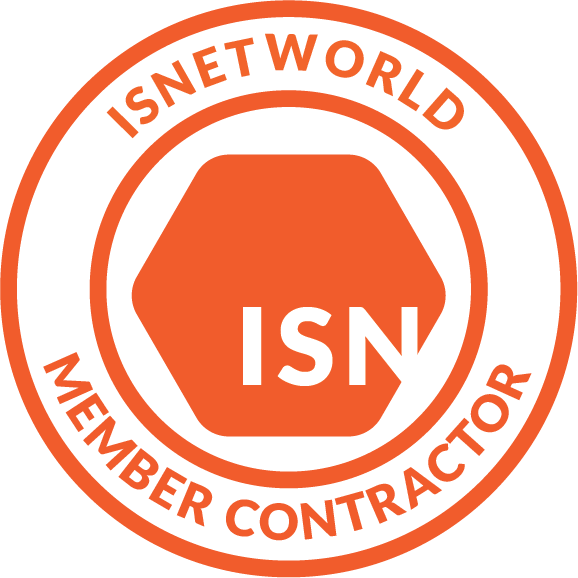 We offer a true single source, comprehensive solution to your industrial flooring needs. Our “workhorse” system is called PUMA-CRETE HF® . This system seamless urethane floor is trowel applied at 1/4 to 3/8 inch thickness (6-9mm). This is a true “one pass” system, and is one continuous monolithic material, from the surface down to the concrete substrate. This is the most durable seamless flooring available, for the toughest environments. Surface texture can be customized, to meet the slip resistance requirements of your industry and specific area within your facility. Texture may be range from very smooth, to extreme non slip for oils, fats, and other food products requiring aggressive textured anti slip flooring. This is the only floor that has a “built in permanent non skid texture” (never loses it anti slip properties). PUMA-CRETE HFB® urethane flooring is a screed rake applied, more flowable grade of our cementitious urethane flooring, laid at 1/4 inch thick. It is available with a special high profile silica blend broadcast, creating a slip-resistant finish. A lock coat of two component, high gloss polyaspartic urethane or novolac is applied. Texture may be varied from smooth to very rough, depending on cleaning techniques, and slip resistance required. 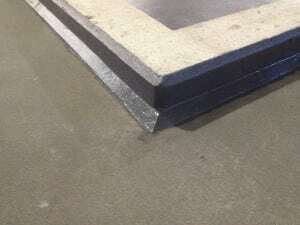 This specialty heavy duty floor was developed for the U.S. Postal Service. Screed applied, this is a high strength mortar designed for the ultimate in durability. Available in black only, it withstands punishing traffic loads including heavy wheeled carts and fork trucks. Push, pull, drag or drop on this floor…. it is difficult to damage this beast. 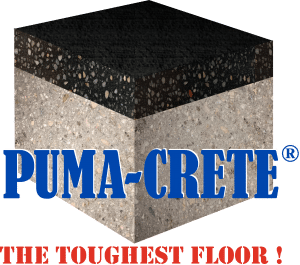 Fast curing, it can handle heavy cart loads, in as little as 12 hours after cure at 70 deg F.
PUMA-CRETE SLB® flooring is a flowable urethane topping, and thus designed only to overlay new concrete, or concrete in very good condition. It is laid at 3/16 inch thick; it has a special high profile silica blend broadcast, and 2 high performance topcoats; two component epoxy with medium gloss urethane. Texture may be varied from smooth to very rough, depending on cleaning techniques, and slip resistance required. PUMA-CRETE CQ® flooring has a decorative quartz broadcast, and is sealed with 1-2 clear lock coats, to provide additional chemical resistance, easier cleaning and enhanced aesthetics. Typically applied at 1/8 to 3/16 inch thickness, this system provides durability and an attractive finish, for a showplace image! An integral cove base is available, for the floor/wall junction, which allows for a watertight seal during washdown. Our standard cove base is 2 x 2 inches with 45 degree angle. This is also known as a “ships cove”.